This 50s Elena Top in Winter Red is the kind of top that goes with everything due to the luxurious material and her classic cut! A day at the office or cocktails with your girls, Elena is perfect for any occasion! She features an elegant round neckline, small collar and flattering short butterfly sleeves. 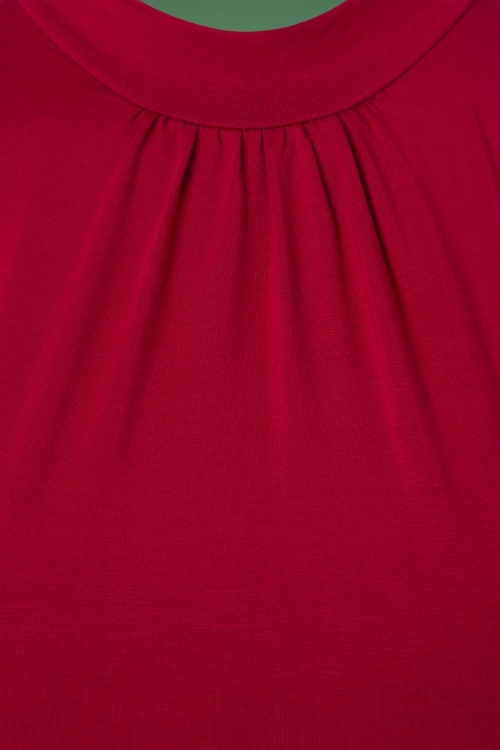 Made from a breezy and lovely supple, stretchy dark red viscose blend that is super soft to the skin. This versatile top stays in shape due to the smart fabric composition, which comes in handy because you're going to wear her often, very often! A beautiful high-quality skirt with a tight, slightly stretch fabric, a little narrower to the knees. It looks great, tightens the buttocks, has a beautiful lateral (on the thighs) line, but the size XL is small in the hips, creates unnecessary folds, it's a pity there is no bigger size. Red and black tops like, they are universal in the ensemble with a skirt of any style. The fabric is pleasant, a little dense, keeps the shape, it stretches out a little, so it's better to give preference to a larger size. 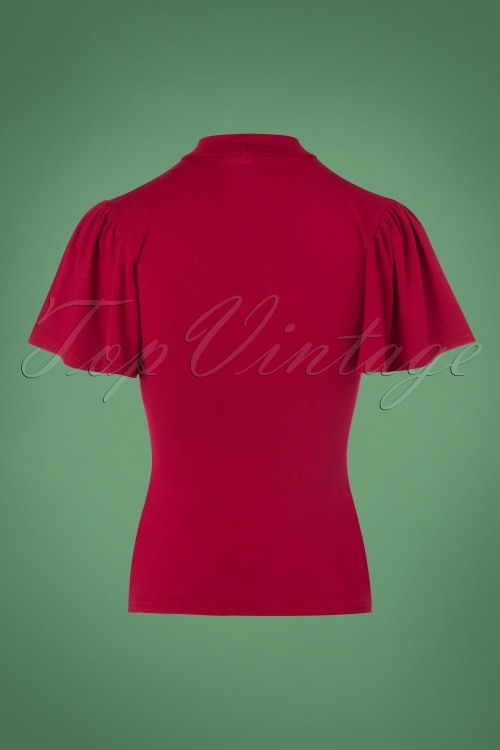 Red top with lush sleeves on the texture of the fabric resembles a t-shirt. 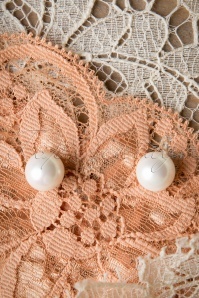 The fabric has a large stretch and a smaller size is better. In my case, there were obvious errors in the choice of size, so I was forced to send the tops in exchange for the correct size. Ich bin mit der Qualität des Elena Top in Winter Red sehr zufrieden. Das Shirt ist aus zweilagigen Viskosestoff (sehr hautfreundlich und man schwitzt darin nicht) und somit "dich genug" für die kühlere Jahreszeit. Was ich auch ganz toll finde ist, dass es Made in England ist!!! Gr L (Gr. 40) passt mir bei einem 75 cm Taillenumfang sehr gut. Heerlijk zittende stoffen, ook mooie modellen voor 50+ ;-) wordt erg hebberig van al dat moois! Diverse tops gekocht die allemaal lekker mee-stretchen, top! Krijg veel complimenten op al het moois! Ben nu al benieuwd wat de winter collecties gaan worden!